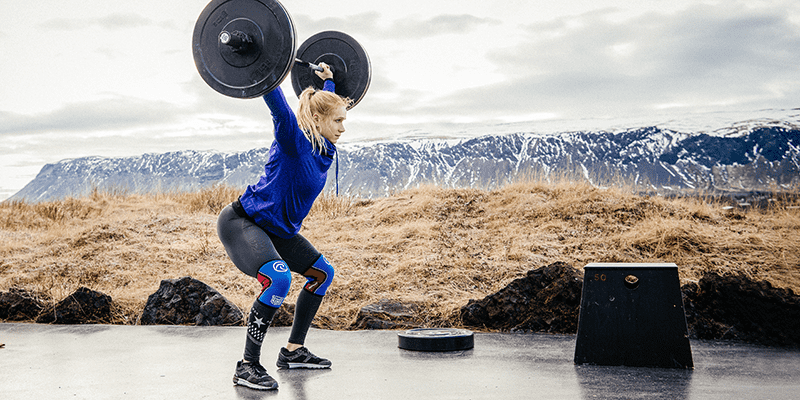 6 pieces of advice from iconic Athlete "Iceland Annie" to help you become a better Crossfitter. When you strip it down to its bare essentials, CrossFit® is about long term health, fitness, happiness and community. It’s about training today to become the best possible version of yourself in the future. Working hard to enable your full potential. There is no-one that epitomises this ideal better than 2x CrossFit® Games Champion and 8x Games athlete Annie Thorisdottir. Iceland has become synonymous with CrossFit® excellence. As a nation of just over 330,000 people, it has produced a multitude of talented athletes. In many ways, that has grown out of the trailblazing and inspirational path that Annie has set. Her name literally translates as “daughter of Thor”, which is apt for such a strong, talented and committed individual. After using Rehband products for years, Annie approached them after the CrossFit Games® and a partnership was born. Finding that they shared many similar views on fitness, movement and long term health, it was a natural fit. The following tips from Annie will help you to improve your performances and re-engage with your passion and love for the sport of fitness. Always try to enjoy what you do and fall in love with the process. You will have bad training days, but that’s part of the ride. Stay positive and always remember why you started. Keep that in mind as well as the targets that you are working towards. With the right attitude and an intelligent plan to achieve your goals, you can become unstoppable. Whether she is competing on central stage at The CrossFit Games®, or trail running in the early morning rain across the volcanic Icelandic landscape, Annie is renowned for having a smile on her face as she trains and competes. This attitude helps her enjoy the present and work as hard as she can. Annie repeatedly talks about the importance of training and living in the moment as well as making sure that you are dialed in mentally. This will have a positive impact on all areas of your training. Annie is very open about her competitive side. She competes because she wants to win. She also uses this drive to power all aspects of her performance forward. She shows that it’s possible to be both humble about your own abilities and highly competitive at the same time. Competition can help us to push beyond our limits, but it’s often associated with ego. True humility and being honest about your weaknesses requires you to remove ego from the equation and look objectively at your skills and performance – which is not an easy task! Annie can serve as a great example of how making a concerted effort to do this will help us to improve as athletes. Rest until heart rate returns to 99 BPM or below (or rest 3 minutes). In 2013 Annie seriously injured her back whilst Deadlifting. As a result, she had to withdraw from defending her title at The CrossFit Games®. This was a crushing setback for her, but she was smart and allowed her body the time it needed to recover properly. The experience taught her never to rush exercises, work on technique and mobility before load and always to work within a long-term context. Prevention is always better that cure. Small steps will build up to big results over time. Don’t overestimate what you can do in the next few weeks or a month, but don’t underestimate what you can achieve in a year or more. With consistency and hard work, coupled with good nutrition and solid programming, you will progress and surprise yourself with what you are able to realise. Consistency is hard to maintain and involves a great deal of discipline. Continual, intelligent training will set you up for success. Couple this with using equipment that will support your movements and reduce the risk of injury, such as the navy and burgundy Rx Line 5mm Knee Sleeves, and you are building the right environment for achieving your full potential. Annie is a strong example of how this pays off as she has managed to compete at the highest levels within CrossFit® for a long time. She demonstrates how setbacks can be chalked up in the name of experience, and over a long enough timeline, can help you to become a mentally tougher and more dedicated athlete and individual. Annie is also consistent in her habits for warming up and prepping her body for action. Here she explains what drills she uses as part of her warm up, and how they help her to build better control over the movements of her own body. Try adding them into your own warm up routine in order to improve your performances. Like Annie, Rehband have also been intertwined with the international CrossFit® scene for many years. 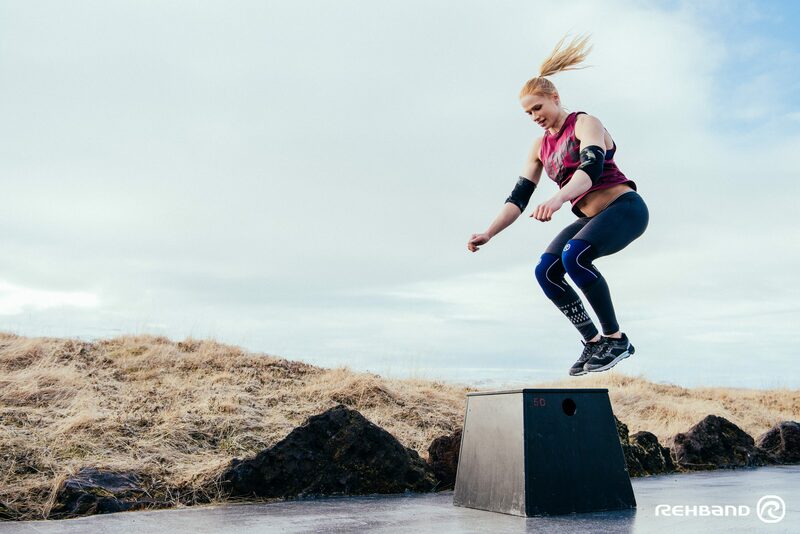 The Icelandic athlete constantly strives to enable her full potential, and this is a core philosophy that’s shared with Rehband. Their products are developed with athletes in order to augment and support natural movement, protect the body and provide feedback to the individual. Their heritage stretches back over 60 years of R&D with one foot in sport and the other in medical science. Rehband and Annie’s deeper values are well aligned. They both share an involved understanding of the sport of fitness, and a passionate commitment to the progression and development of its athletes. We all need training partners and other Box members that will help and encourage us to succeed and push ourselves to the very limits. Training and competing with (partner WODs and team events) and against these people will influence how you learn and develop. This links back to the first topic, and is a reminder that you can train hard yet still have fun. Be like Annie. Whenever you feel like training is getting too much or you aren’t sure if you are enjoying it, take a step back and play, look for the fun side and find the positive once again. Pick that barbell back up with a huge smile on your face and get back into that WOD! “I am tomorrow, or some future day, what I establish today. I am today what I established yesterday or some previous day” James Joyce.